Two recent and very cool images below. First, a precious 10 minutes. I was back at my alma mater to speak with some students about the Top 3 Things I Wish I Knew in College. I stayed at my old residential college, Saybrook, in the guest suite. As I was settling in, I was greeted with the following view and sounds (below, or click here). Twice a day, the bells of Harkness tower ring out. Students pick the songs and play a huge carillon. Sometimes it’s classical music. Sometimes it’s pop music. When I’m back on campus, I smile every time I see Harkness or hear the bells. My heart strings are plucked, and I am flooded with really good memories about college. There’s a lot of gratitude and nostalgia, too. I took for granted those bells when I was in college. I no longer do. Second, I recently caught The Prettiest Fish of the Year. It’s a male brook trout, with a kype (jutted lower jaw), pronounced humpback, and ablaze in orange. At 14″, I’ve caught plenty of bigger fish, but none prettier this year. The photographs don’t do it justice. 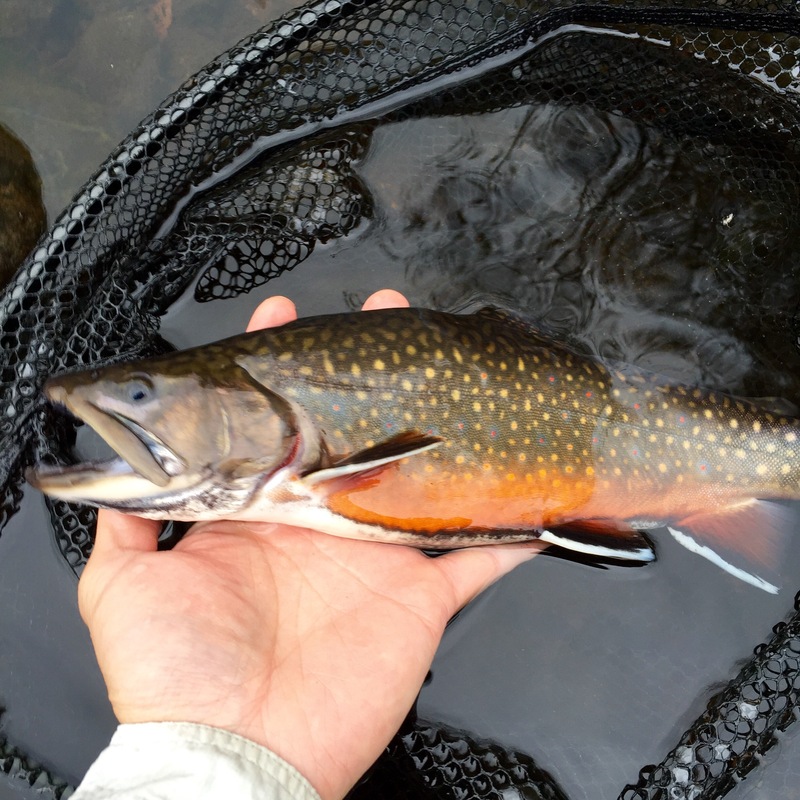 Brook trout spawn in autumn. 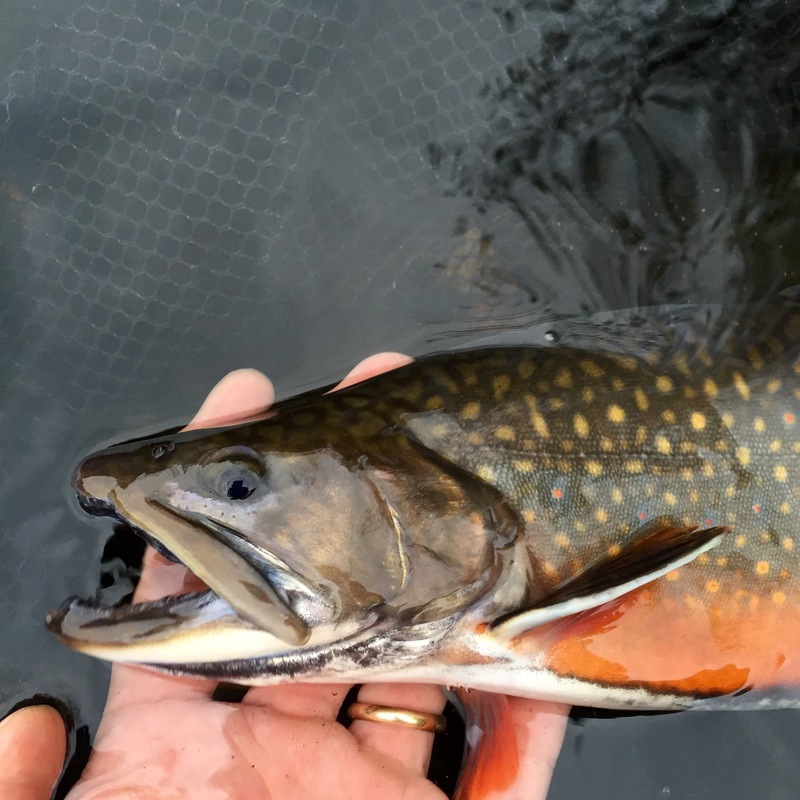 As our New England leaves become bright orange, pink, and tan as the weather gets cooler, brook trout also transform themselves. Their bellies ablaze with vibrant orange. Their spots of blue, pink, and yellow become brighter. It was a special moment to admire it and to let it go, with the hopes that it will generate many progeny. It’s very satisfying to land a trout on a fly I have tied. Many moments in life are special. These two are especially so, and I’m grateful to be able to preserve them on this blog. Hope everyone is having a good Columbus Day weekend.